Sam Altman, President of Y Combinator, talks about the first two topics of startups: Idea and Product. 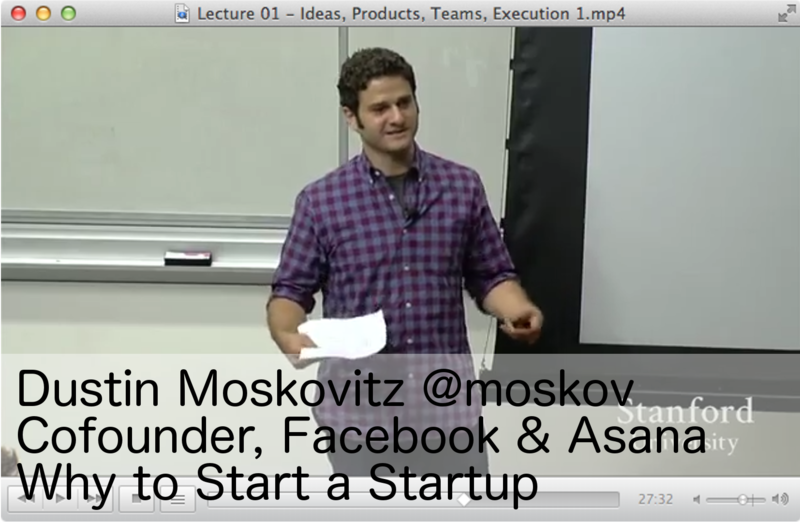 Dustin Moskovitz, Cofounder of Facebook, discusses why and why not to start a startup. Sequoia Capital’s question: Why now? why couldn’t it have been done 2 years ago and why will 2 years from now be too late? easier to expand from product a FEW people love to A LOT of people love than from product that a lot of people LIKE to a lot of people LOVE.